Amira Nature Foods, a good short? While browsing on VIC I noticed that apparently a couple of short write-ups on Amira Nature Foods (ANFI) were removed from the site. I assume this was done because the company threatened VIC with legal action. This looked like a huge red flag to me, so I decided to do some due diligence to figure out if Amira Nature Foods is indeed a good short. Low earnings quality. Free cash flow is consistently negative while earnings are positive, and the amount of cash taxes paid is lower than the reported tax expense. Not enough money for growth capex given negative free cash flow. Financials reported to SEC don’t match those reported to local authorities. Valuation very high compared to comparables listed in India. Company could be hiding potential related party transactions. I personally think that this is a pretty weak argument. It’s not weird that a rapidly growing company produces negative free cash flow: it’s actually positive if they can immediately reinvest the cash they receive in growing the business! What’s perhaps a bit weird is that the amount of money spent on new PP&E is very low. Inventories are growing rapidly, and so are their receivables. But there is a logical explanation for the growth in inventories, and the growth in inventories and receivables are not out of line with the growth in revenue. A lot of money is invested in their inventory because Amira sells basmati rice. This type of rice needs to age approximately a year before it is sold: so a big part of what they do doesn’t require a significant amount of PP&E. It just requires time and a large inventory. The relative low amount of cash taxes paid compared to the reported tax expense could also be a red flag, but what the author in SA article is missing is that the company is reporting various items outside the income statement as part of other comprehensive income. The losses reported here partially offset the taxes reported on the income statement. If the reported revenues and earnings are correct this is really a luxury problem. Given the growing revenues and earnings they could probably raise additional debt (or maybe equity) if they need more capital. They could also start to generate free cash flow as soon as growth slows down. With $46 million in cash at the bank and $70 million in receivables I don’t think that there is an emergency liquidity issue. Their net debt is now lower than it has been the past five years. I think this one has a pretty obvious explanation. 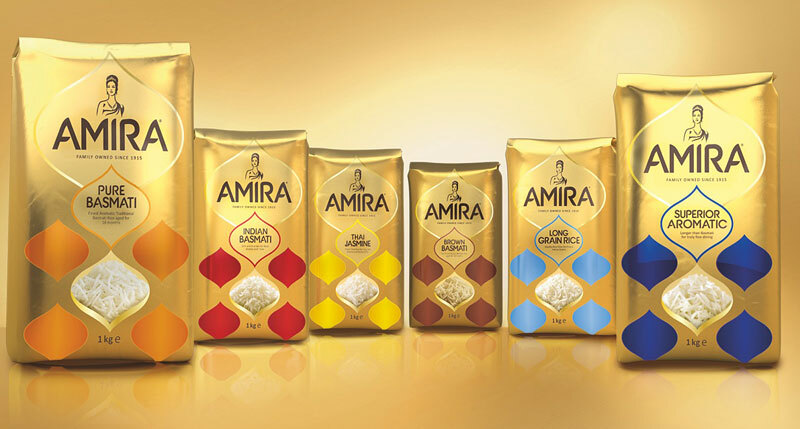 Amira has various subsidiaries operating all over the world. The financials reported to the Indian authorities are most likely only for the Indian entity while the SEC financials include the consolidated results of all subsidiaries. Compared to other Indian (basmati) rice companies Amira looks expensive, but when you look at the growth in revenues and earnings it doesn’t look that crazy. Comparing a big and slow growing company with a small and rapidly growing company doesn’t make a whole lot of sense. It does raise the question what it exactly is that Amira is doing that is so successful. To be clear: I don’t really know, but if the financials can be trusted the valuation argument doesn’t look very convincing. I think this item is potentially the biggest issue. If the reported financials are correct I don’t think Amira Nature Foods is a good short, but if revenue and income growth have been overstated the downside could be huge. The screenshots of the Karam website (see SA article) are troubling, but there could be an innocent explanation. The foreign subsidiaries of Amira haven’t been in existence for a long time. The middle east entity was for example not founded until 2009. The Karam website doesn’t exactly look like it is often updated, so it’s perfectly possible that this is a related party that used to do business with Amira in the past, but isn’t doing this anymore. Using the Wayback Machine we can see that Karam’s claim of being the sole representative of Amira Foods in the middle east dates back to at least early 2008 and that since then the page wasn’t updated until it was recently deleted. Maybe the VIC write-ups covered something that I wasn’t able to find online, but in my opinion the short case for Amira Nature Foods is weak. It seems that there is a plausible explanation for almost every red flag. Those explanations could of course turn out to be wrong, but I don’t see the proverbial smoking gun in the evidence. To be clear: there is absolutely no way that I would consider going long this stock. It’s simply too expensive for me and I don’t understand what’s exactly driving their growth and how sustainable it is. This entry was posted in Research and tagged ANFI on January 24, 2014 by Alpha Vulture. I generally agree and have no position either way. But, definitely let us know if you get any mysterious threats forcing you to remove your post! 🙂 It’s fairly unusual for short writeups to get removed from VIC, making me wonder what went on behind the scenes. However, this one is actually quite compelling. Looks like the entire sell-side missed the fact that revenues from their Basmati Rice business actually declined year over year. What’s strange is that management seems to have removed the disclosure of the revenue split from their press release even though they disclosed that in quarters past. Also, had it not been for an unbelievable quarter from their Institutional Business (up 2,500%), which Management does not consider core (and obviously what the Street does not care), the Company would have massively whiffed on their Q2 numbers. I could not find any explanation from analyst reports (they seem to have fallen asleep at the wheel) or the filings that would speak to the decline. I would suggest taking a quick gander at the write-up. Something really fishy going on, methinks! Yeah, very interesting point w.r.t. Q2 revenue ‘growth’. Perhaps the biggest red flag so far. ANFI seems to be imploding and the short case seems to be very much intact. Wanted to get your thoughts. Haven’t really followed it, so no idea! Four months after this article was written, and the stock price is beaten down but not out. Share prices have even jumped up on news of new business. I’ve started a small long position. I’ll be intently watching the May 15th short percentage update, and the June 16th earnings report very intently.